Igor Eronko: Heard that Nikita Gusev is looking to join the Vegas Golden Knights for their playoffs. Darren Dreger: Gusev’s KHL contract runs through the end of April. His agent JP Barry, CAA Sports and his Russian agent are working on getting his release from SKA. Aivis Kalnins: Confirmed that Gusev and his reps are looking to get out of KHL contract early. SKA management doesn’t appear eager to release him. 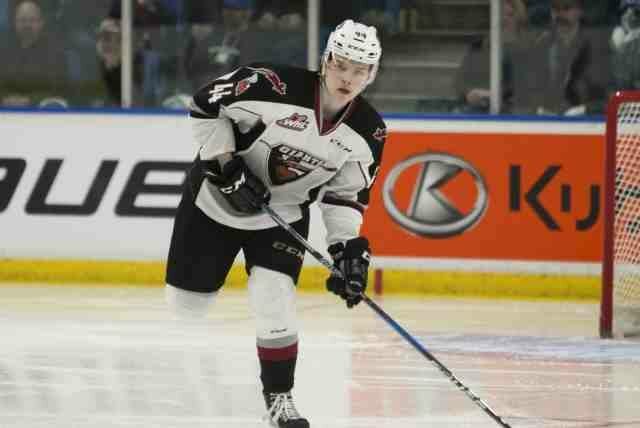 Jesse Granger: The Golden Knights are not commenting on the report that Gusev could be heading to over to join them. Jesse Granger: Golden Knights GM Gerard Gallant said that he doesn’t know much about Gusev and the first he had heard that he might be joining them was yesterday morning. Gallant added that he hopes Gusev can join the team and get in some practices. Markstrom’s agent on an extension … Could the Canucks trade up for Byram? “I think it’s intriguing. The #Canucks have shown a lot of interest in him. And the teams that showed the most interest this year are the Devils and the Rangers..but they’re going 1, 2. I know there are scouts who not only think he’s the clear-cut best defenceman, but there are also scouts who think he can play next year. People said the same thing about Quinn Hughes.